There are around 1,000 camera clubs in the UK, with approximately 30,000 members. To bring some semblance or order to these clubs they are organised into 15 regional federations. The federations range in size with some representing single counties to large ones representing a whole country (ie Scotland or Northern Ireland). To pull all these federations together and also to represent UK amateur photography on the world stage there is the Photographic Alliance of Great Britain (PAGB). Each year the PAGB puts on an exhibition of the very best of amateur photography in Great Britain, this exhibition tours the country with an exhibition organised each month by a federation, to be exhibited in their region. To select the work for each exhibition they ask all the federations to put forward the best work from each of the clubs that make up the federation. The exhibition consists of around 150 prints, split between colour and monochrome based on the strengh of each section. This year for the first time my club Smethwick Photographic Society put forward two of my images for consideration by our location federation the Midlands County Photographic Federation. I was then very pleased when the selectors put forward both pieces to the final selection for the exhibition, representing the federation. I was then rather overwhelmed when I got a phone call telling me that not only were both of my images selected for the final exhibition, but that I had been awarded the Gold Medal for the best colour print in the exhibition. I produce images to be appreciated by others, and I am really so pleased that so many people – especially non-photographers – will be able so see my images as prints all around the UK. 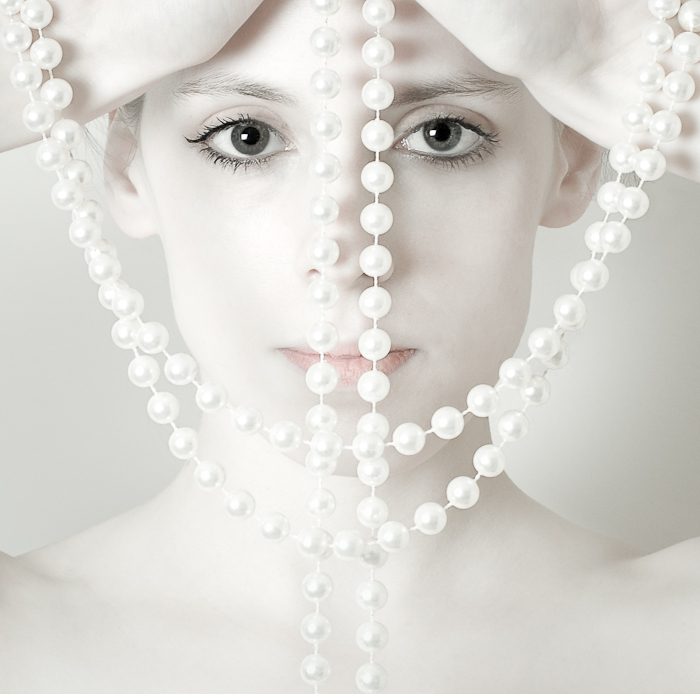 People who have read my blog before will instantly recognise the two images Pearls and Simply Red, with Pearls being awarded the Gold Medal. Well short and sweet, and all that’s left for me to do is thank the two wonderful models without whom these prints would be rather boring blank sheets of paper, so a huge thank you to Nanette and Holly.